The most memorable thing we know from the historical account of Jonah is the whale… the “big fish” that swallowed a man running from God’s direction for him, and then spending 3 days in the belly of the fish, afterwards, being spit up and making it to dry land. The lesson MANY don’t see is that the entire time Jonah is running from God, God is watching, and remaining near. God’s grace to Jonah is RELENTLESS. It’s overwhelming, unpredictable, and relenting. It matches God’s love for us. The grace He showers upon us gives us the strength to do the amazing works He’s laid out for us to do. 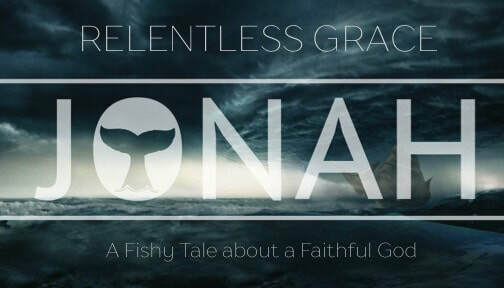 Join us as we discover God’s relentless grace towards Jonah, and how it applies to us today.